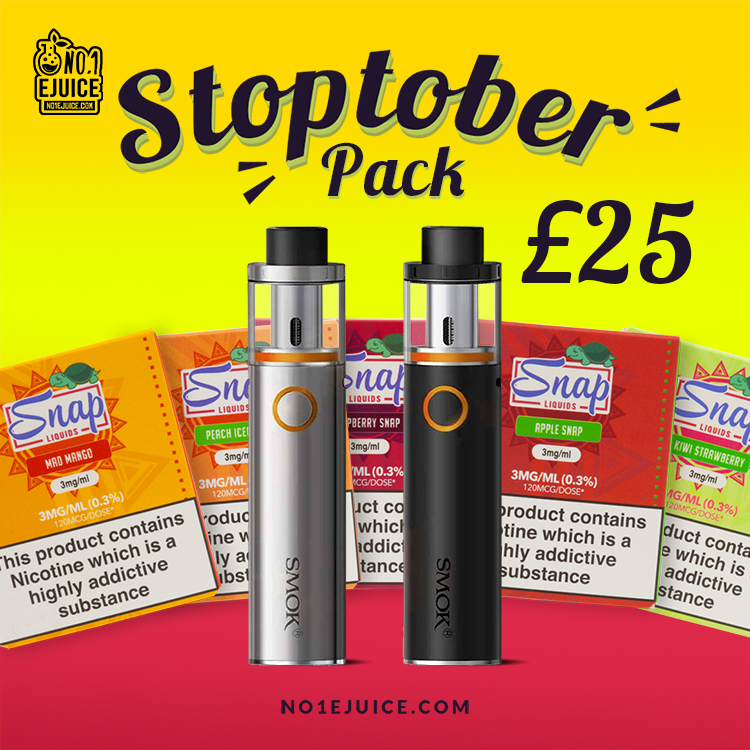 Stoptober Pack £25 - Stop your cigarette addiction now! Milkshake Liquids have built a name for themselves for having some of the best milkshake flavours out there, we are certainly excited for this line and proud to be stocking it. 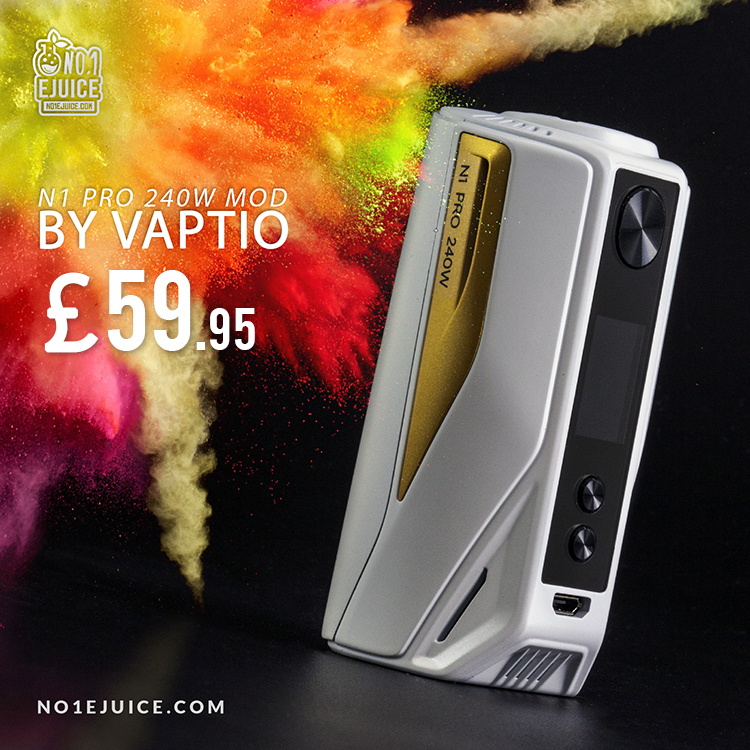 ensure you a wonderful vaping experience. Welcome to MOMO. Ice Cold Malaysian liquids brought to the UK? Look no further. Let Dr.Frost hook you up! Three freezy' cold fruit flavours, that will give you that ultimate fresh feeling. 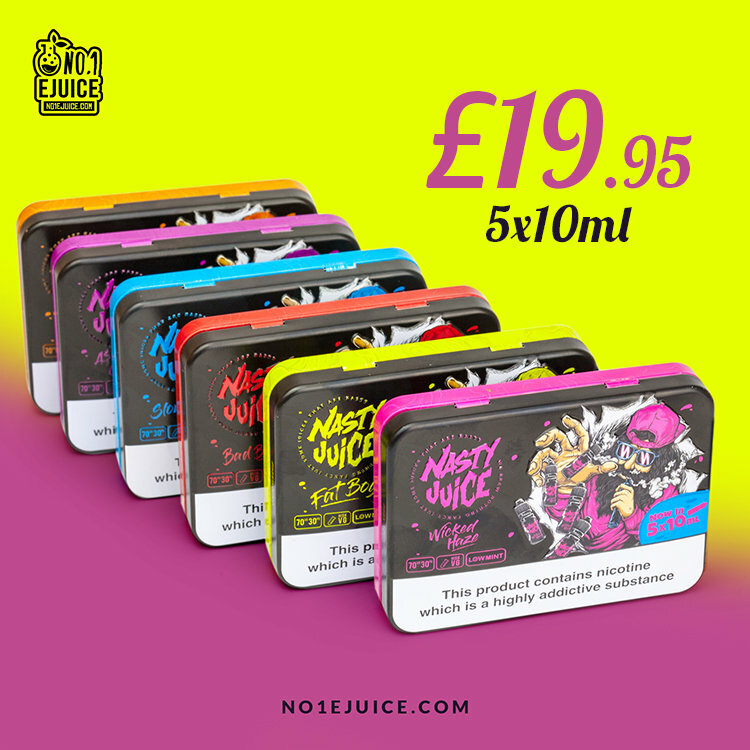 Amazing flavour packed 100ml 0mg range at a great price, same great flavour without killing the coil and cotton that quick compared to other brands in the market. 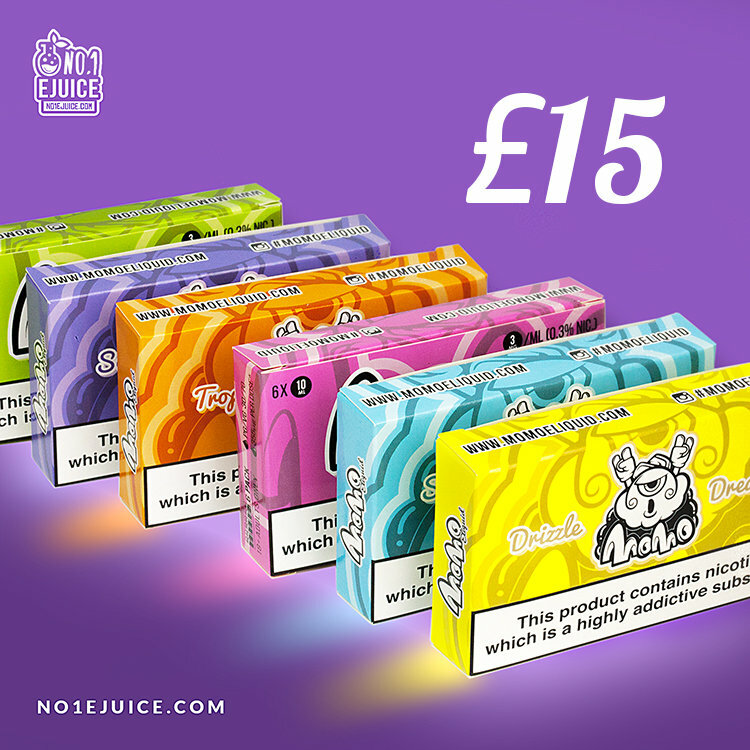 The liquid is sold in 120ml bottle with 100ml of eliquid with room to add either one or two of 18mg nicotine shots depending on your preferred nicotine strength. 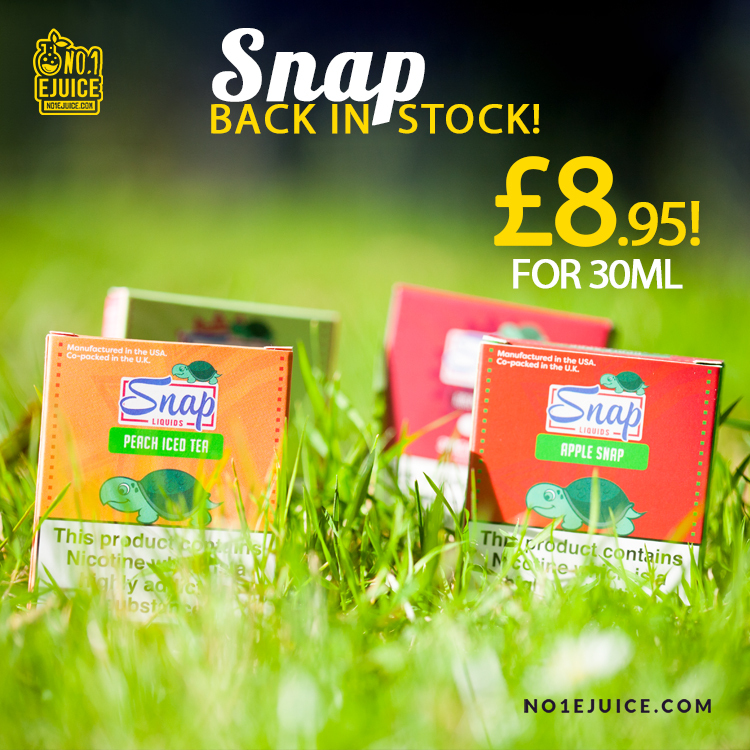 Snap Eliquid is a refreshing blend of the favourite bevarages we have come to know and love/ If you love fruity flavours with strong flavour then these juices will be perfect for you! 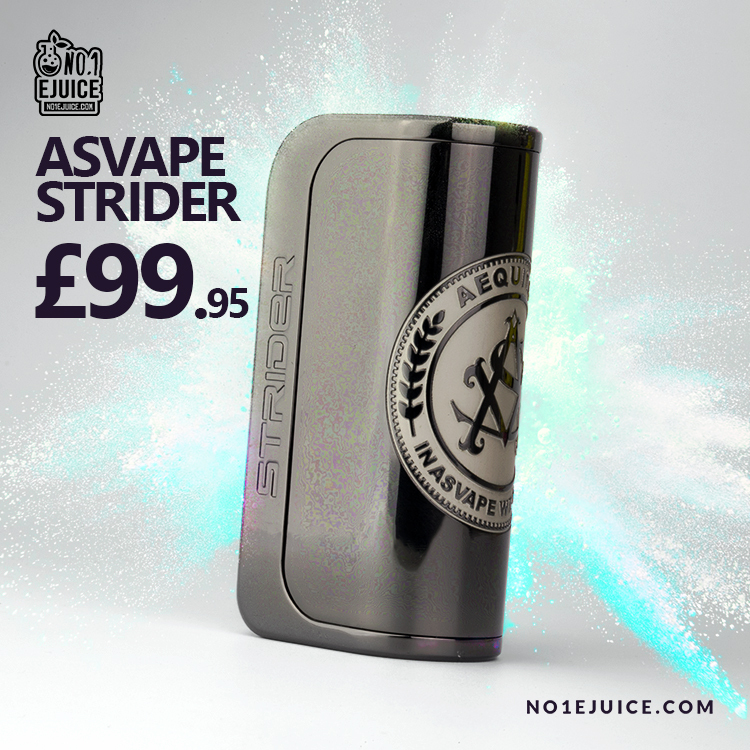 The Asvape Strider 75W TC Box Mod is an outstanding collaboration with VO Tech that's engineered & expertly constructed platform with extensive output capability, power curvature settings, and caters to 18650 or 26650 battery cell. Remember Michael mod by Asvape? Well here we have the new "Walking Dead Edition". 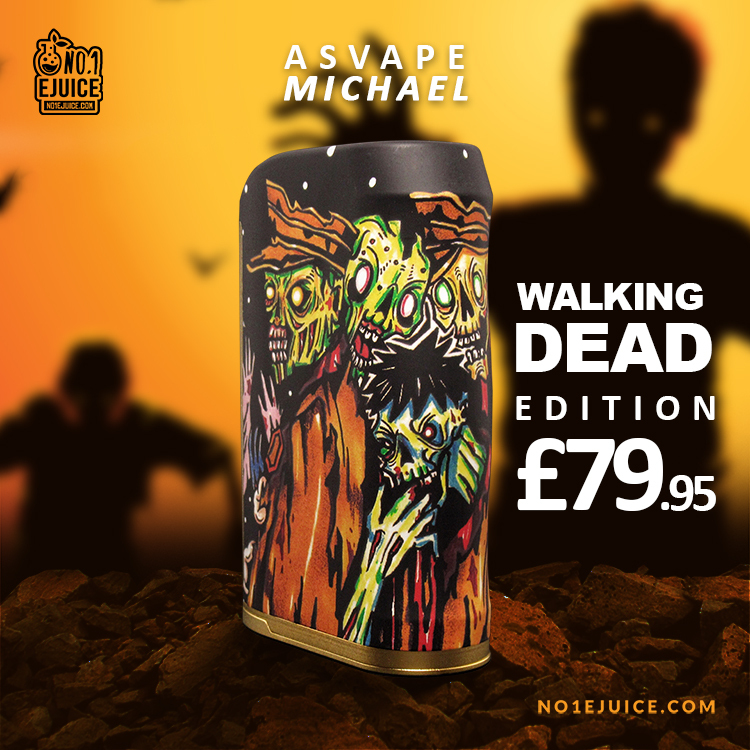 If you love zombies you will love this, It features the same functionality as the previous Michael (Devils Night Edition) it uses an advanced water transfer printing technology that allows for fine brilliant details, The high-end VO200 chipset gives you 200W with a lot of modes to choose from. N1 Pro 240W Mod features the replaceable back cover for two or three battery cells. High power output of 240W, powerful and intelligent, the equipped variable temperature control function and multiple output modes will make your device much attractive and popular.